This dog is a cross between two mixes. 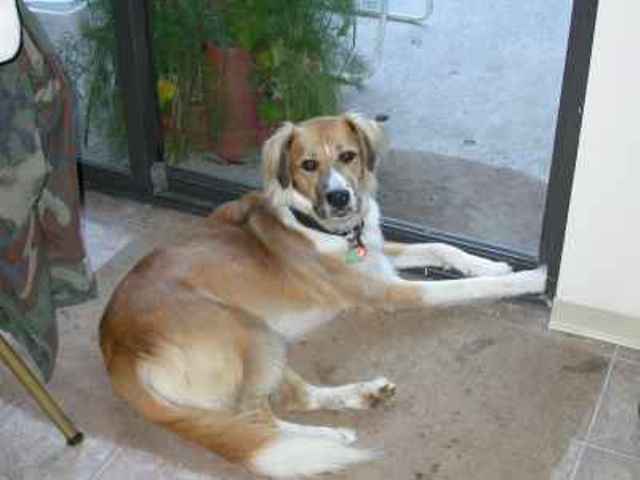 Her dam was a mix between an Airedale and American bulldog, and her sire was a border collie/sheltie mix. And she looks like an English shepherd. Hmmm. I think this provides some photographic evidence for my theory that English shepherds have a bit of the old herding bulldog in them. You misread. The mother is supposedly pure American Bulldog. I can see the bulldog in there, but she should be smooth coated, yes? I hate when people use poor punctuation and make confusing sentences like that. American bulldogs carry a long-haired gene. I can see crossing an airedale and bulldog for catch dog purposes. Why make a swampy sentence like that?